A recent report by 360i Digital Connections examines Hispanic digital influence, and how the rapid growth of the US Hispanic population presents an opportunity to reach a “dynamic and engaged audience” with “ever-increasing purchasing power.” The report also looks at the challenge of “understanding the cultural nuances” of a population with unique digital behaviors. 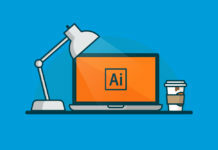 Hispanics view the internet as a virtual “town square” – an environment where they are “motivated to join the conversation.” Hispanics are 37% more likely than the general population to publish a blog, and 12% more likely to visit other blogs. 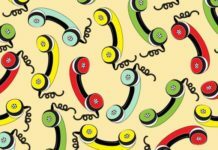 The participants of this study were those who emerged as “conversation leaders” in this digital space. Hispanics are also more likely than the general population to be creators and/or avid consumers of user-generated content online. 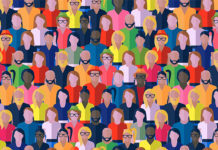 General population influencers have more diversity in the information they choose to share; Hispanic influencers are primarily motivated by their shared cultural ties. Hispanic influencers predominately share content that is “highly personal” in nature, coming from an individual perspectives and centered around family stories. Promotional (or brand-sponsored content) is also prevalent, a marked difference from the tendency of general population influencers to shy away from brand-sponsored content. 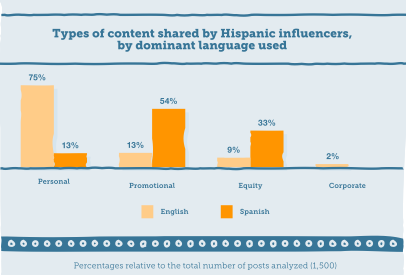 Hispanic influencers share different content depending on which language they choose to communicate with. 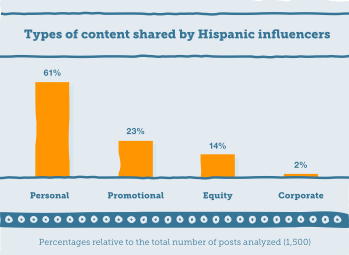 Hispanic influencers online who posted content in Spanish only tend to share more promotional and equity content (posts created to engage readers and inspire interactions with content via polls, questions etc.) than those who write in English, and also more than the general population. Those writing in English tend to include more intimate, personal anecdotes as a way of maintaining a clear connection to their Hispanic cultural roots. These results indicate an opportunity for marketers to “utilize Spanish-language influencers to communicate brand messages in an authentic way,” and to be aware of the difference in content depending on the language used. This report analyzed the activity of 150 Hispanic digital influencers. To download the full 360i Report on Hispanic Digital Influencers, click here.